Ada County is experiencing an increase in whooping cough cases as of October 2017. In recent months, whooping cough has impacted children and young adults of all ages, as well as people over age 40. On this page you will find information adapted from the Centers for Disease Control and Prevention regarding whooping cough. 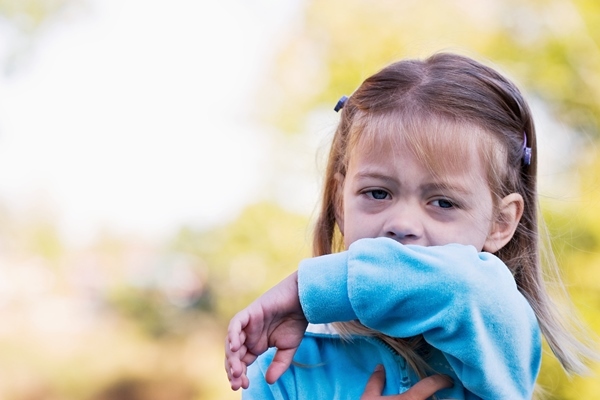 Pertussis, a respiratory illness commonly known as whooping cough, is a very contagious disease caused by a type of bacteria called Bordetella pertussis. These bacteria attach to the cilia (tiny, hair-like extensions) that line part of the upper respiratory system. The bacteria release toxins (poisons), which damage the cilia and cause airways to swell. Pertussis is a very contagious disease only found in humans. Pertussis spreads from person to person. People with pertussis usually spread the disease to another person by coughing or sneezing or when spending a lot of time near one another where you share breathing space. Many babies who get pertussis are infected by older siblings, parents, or caregivers who might not even know they have the disease. Infected people are most contagious up to about 2 weeks after the cough begins. Antibiotics may shorten the amount of time someone is contagious. While pertussis vaccines are the most effective tool to prevent this disease, no vaccine is 100% effective. When pertussis circulates in the community, there is a chance that a fully vaccinated person, of any age, can catch this disease. If you have gotten the pertussis vaccine but still get sick, the infection is usually not as bad. CDC recommends pertussis vaccines for people of all ages. Babies and children should get 5 doses of DTaP for maximum protection. Doses are given at 2, 4 and 6 months, at 15 through 18 months, and again at 4 through 6 years. A booster dose of Tdap is given to preteens at 11 or 12 years old. Teens or adults who did not receive Tdap as a preteen should get one dose. Getting Tdap is especially important for pregnant women during the third trimester of each pregnancy. It is also important that those who care for babies are up-to-date with pertussis vaccination. You can get the Tdap booster dose no matter when you got your last regular tetanus and diphtheria booster shot (Td). Also, you need to get Tdap even if you got pertussis vaccines as a child or have been sick with pertussis in the past. Read more on pertussis protection HERE.